The Aurora Awards (French: Prix Aurora-Boréal) are a set of primarily literary awards given annually for the best Canadian science fiction or fantasy professional and fan works and achievements from the previous year. The event is organized by Canvention and the awards are given out by the Canadian SF and Fantasy Association and SFSF Boreal Inc. Originally they were known as the Canadian Science Fiction and Fantasy Awards which was shortened to CSFFA and nicknamed the Casper Awards based on that acronym, but this name was changed to the Aurora Awards in 1991, because the Aurora is the same in English and French. The categories have expanded from those focused on literary works to include categories that recognize achievements in comics, music, poetry, art, film and television. Hal-Con Sci-Fi, Fantasy & Comic Convention, commonly known as Hal-Con, was founded in the 1970s and revived in the 2010s. It is traditionally an annual weekend event held in Halifax, Nova Scotia in Atlantic Canada during the middle of Fall. 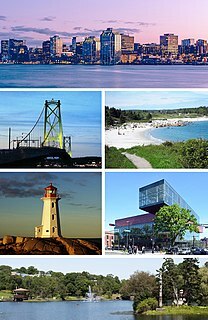 Halifax, officially known as the Halifax Regional Municipality (HRM), is the capital of the Canadian province of Nova Scotia. The municipality had a population of 403,131 in 2016, with 316,701 in the urban area centred on Halifax Harbour. The regional municipality consists of four former municipalities that were amalgamated in 1996: Halifax, Dartmouth, Bedford, and Halifax County. For lists of winners and nominees for each category, see the list of award categories below. The Canadian Science Fiction and Fantasy Association (CSFFA) and the SFSFBI give out the Aurora and Aurora-Boréal Awards for the best science fiction and fantasy works in each of the categories. CSFFA handle the anglophone Aurora Awards and the SFSFBI handle the francophone Aurora-Boréal Awards, though both organizations co-sponsor the other award. Nominees are only valid if they were produced or completed in the previous calendar year. Instant-runoff voting (IRV) is a type of preferential voting method used in single-seat elections with more than two candidates. Instead of voting only for a single candidate, voters in IRV elections can rank the candidates in order of preference. Ballots are initially counted for each elector's top choice, losing candidates are eliminated, and ballots for losing candidates are redistributed until one candidate is the top remaining choice of a majority of the voters. When the field is reduced to two, it has become an "instant runoff" that allows a comparison of the top two candidates head-to-head. CSFFA is a federally recognized Canadian non-profit, since 2011. 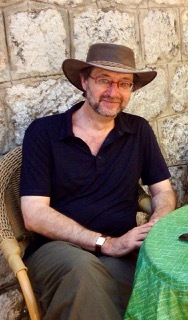 Guy Gavriel Kay is a Canadian writer of fantasy fiction. Many of his novels are set in fictional realms that resemble real places during real historical periods, such as Constantinople during the reign of Justinian I or Spain during the time of El Cid. Those works are published and marketed as historical fantasy, although Kay has expressed a preference to avoid genre categorization. A strong element in contemporary Canadian culture is rich, diverse, thoughtful and witty science fiction. The Gaylactic Spectrum Awards (1999–present) are given to works of science fiction, fantasy and horror that explore LGBT topics in a positive way. Established in 1998, the awards were initially presented by the Gaylactic Network, with awards first awarded in 1999. In 2002 the awards were given their own organization, the Gaylactic Spectrum Awards Foundation. Solaris is a Canadian francophone science-fiction and fantasy magazine. Torcon 3 was the 61st World Science Fiction Convention, held in Toronto, Ontario, Canada on August 28-September 1, 2003. The convention was held in the Metro Toronto Convention Centre, as well as the Fairmont Royal York and Crowne Plaza hotels. Torcon 3 was also the site of the 2003 Canvention. CAN•CON, or more completely "CAN•CON: The Conference on Canadian Content in Speculative Arts and Literature", is a periodic science fiction and fantasy convention in Ottawa put on by The Society for Canadian Content in Speculative Arts and Literature. Founded in 1991 by James Botte and Farrell McGovern in response to a perception that there were no dedicated public venues that featured primarily Canadian speculative fiction writers, editors, and artists. 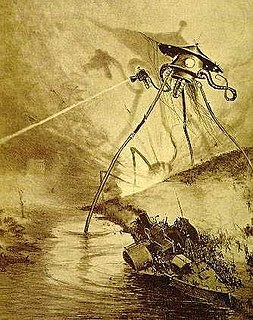 In addition to the focus on Canadian content, it was also an attempt to bring a focus on the book back to Ottawa science fiction and fantasy events. It ran from 1992 through 1997, and again in 2001 before taking a hiatus of several years due to financial constraints; it was then relaunched in 2010. Boréal is an annual French-language science fiction and fantasy convention in Canada, held in a number of different cities since its founding in 1979, though all of them, save Ottawa in 1989, were located in the province of Quebec. Major events of the convention include the panel discussions, the Guest of Honour presentations, the dealer's room, and the awards ceremony. Other events on the convention program typically include a writing contest, readings and videos, as well as book, magazine, and fanzine launches. Barb Galler-Smith is a Canadian science fiction and fantasy author living in Edmonton, Alberta. Sad Puppies was an unsuccessful right-wing anti-diversity voting campaign intended to influence the outcome of the annual Hugo Awards, the longest-running prize for science fiction or fantasy works. It was initiated in 2013 by author Larry Correia by means of a voting bloc to get his own novel nominated, and then through suggested slates in subsequent years. The Dragon Awards are fan-voted awards that "recognize outstanding achievement in science fiction and fantasy literature, comics, gaming and filmed entertainment". They are given out annually at Dragon Con in Atlanta, Georgia since 2016. The award process consists of two steps: a nomination step where each voter nominates one work of choice in each category, and a voting step where the finalists selected from the nominated works are voted on by each voter. The nominations and votes are collected electronically. Participation is available to everyone, requiring no membership or other fees to vote. The Canadian SF and Fantasy Association Hall of Fame Trophy is an award given to Canadian science fiction and fantasy writers for their contributions over their entire career, and is presented as part of the Aurora Awards. The award was first given out as the Lifetime Achievement Award in 1980. Its name changed to the Hall of Fame Trophy in 2014. The Aurora Awards are granted annually by the Canadian SF and Fantasy Association and SFSF Boreal Inc. The Award for Best Short Fiction, was first recognized in 1986 as a separate category from Best Long-Form and was first granted as the Award for Best Short-Form, one granted to an English-language work and one to a French-language work, but did not become a dedicated category until 1989. In 1997 it was renamed to the Award for Best Short-Form Work and then again in 2012 it became the Award for Best Short Story, when the Prix Aurora and Prix Boreal combined, before adopting the name Award for Best Short Fiction a year later. The Aurora Awards are granted annually by the Canadian SF and Fantasy Association and SFSF Boreal Inc. The Award for Best Related Work, was first recognized in 1983 as a separate category from Best Long-Form and was first granted in 1989 as the Award for Best Other Work one granted to an English-language work and one to a French-language work. In 1999 it changed its name to Best Work (Other), and when the Prix Aurora and Prix Boreal combined, the awards adopted the name Best Related Work in 2012. 1 2 "Literary glow of Auroras lures galaxy of sci/fi stars". Edmonton Journal , June 6, 1991. ↑ Mallett, Daryl F.; Reginald, Robert (1993). Reginald's Science Fiction and Fantasy Awards. Borgo Press. p. 27. ISBN 0-8095-1200-9. ↑ "It's almost time for sci-fi awards". Sudbury Star , September 11, 1999. ↑ "Speculative fiction seriously coming of age". Edmonton Journal , September 13, 1998. ↑ van Belkom, Edo (1999). Aurora Awards: An Anthology of Prize-Winning Science Fiction and Fantasy. Quarry Press. 1 2 3 4 5 "FAQ". CSFFA. ↑ "Become a new member". CSFFA.